Protein can help you shed those unwanted pounds and keep your belly full. But it's important to eat the right amount and the right kind of protein to get the health benefits. Seafood is an excellent source of protein because it's usually low in fat. Fish such as salmon is a little higher in fat, but it is the heart-healthy kind: omega-3 fatty acids. 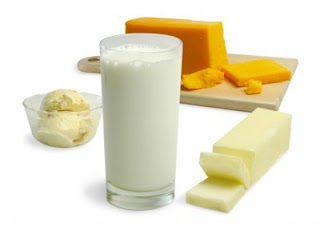 Not only are dairy foods -- like milk, cheese, and yogurt -- excellent sources of protein but they also contain valuable calcium, and many are fortified with vitamin D. Choose skim or low fat dairy to keep bones and teeth strong and prevent osteoporosis. Fifty grams of soy protein daily can help lower cholesterol about 3%. Eating soy protein instead of sources of protein higher in fat -- along with a healthy diet -- can be heart healthy. Grab a meal replacement drink, cereal bar, or energy bar. Check the label to be sure the product contains at least six grams of protein and is low in sugar and fat. Research shows that including a source of protein like an egg or Greek yogurt at breakfast along with a high fiber grain like whole wheat toast can help you feel full longer and eat less throughout the day.